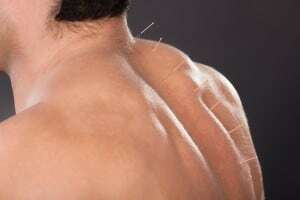 There is a strong tradition in China of using Acupuncture to treat musculoskeletal disorders and it has been shown to be so effective that it is now used here in the West by many doctors, physiotherapists and chiropractors, as well as, acupuncturists to successfully treat a range of acute traumatic injuries, inflammatory and degenerative conditions; such as osteoarthris. Traditional Chinese Medicine (TCM) has much to offer these conditions. It can provide insight into the cause and nature of most musculoskeletal conditions. Rather than focus purely on the site of the symptoms, TCM tries to see the problem holistically in the context of the whole body, in order to identify weakness and imbalances that may have contributed to the disorder. It aims to correct the root cause of the problem, as well as, relieve the symptoms. It is therefore necessary to assess and understand the whole person along with the signs and symptoms of the problem itself. With the exception of acute trauma most disorders have some relevant underlying imbalance or lifestyle factor. During a treatment fine needles are inserted into points along a network of energy meridians which are the main channels of communication and energy distribution in the body; they link the interior organs with all the various tissues of the superficial areas of the body. This meridian system allows an acupuncturist to influence the function of a particular area by the selection of points both local and distant from it. TCM has been shown to be very effective in treating pain, stiffness and numbness by moving stagnation in these channels using techniques including; acupuncture, cupping, moxibustion, gua sha and massage, and by strengthening the persons general constitution. Cupping is the application of suction cups to areas of tension to remove obstruction and alleviate inflammation, moxibustion is a technique of warming the needles or the affected area directly, gua sha is an ancient technique of scrapping which encourages movement and flexibility of the muscles and fascia. These disciplines and techniques can be used to powerful effect for most musculoskeletal disorders. Our Acupuncturist, Andrea Allardyce, is also a Massage Therapist, a Reflexologist and Vertical Reflex Therapist and usually uses a combination of these disciplines to enhance her treatments. Andrea is available for appointments on Tuesday’s and Thursday’s. To book your appointment, please call Earthlife on 020 8940 0888 or email info@earth-life.co.uk.